Blog: Are Paul Ryan's high-risk pools a better way to insure sick people? One of the Affordable Care Act's most consistently popular features, even among Republicans, is its ban on health insurers denying coverage or charging grossly higher premiums to people with pre-existing health conditions. But House Speaker Paul Ryan said Wednesday he wants to eliminate that ban and replace it with an alternative way of covering sicker people—high-risk pools. But similar pools had a long and rocky history in many states before Obamacare's guaranteed coverage took effect, and they would cost taxpayers billions of dollars a year. That might surprise the tens of millions of Americans who have personally experienced the pre-existing-condition problem with health insurance during the years prior to the ACA when many states offered high-risk pools. A new Kaiser Family Foundation Health Tracking Poll found that 49% of those surveyed said they or a family member have a pre-existing condition such as heart disease or diabetes, and 25% said a family member has faced coverage denial or higher premiums because of that condition. In surveys, nearly 70% of Americans express support for the ACA's protection against health coverage exclusions for pre-existing conditions. “Everyone has a cousin with depression or cancer or HIV or cardiac problems, and Americans don't want insurers poking around and charging them higher premiums or excluding them,” said Harold Pollack, a liberal health policy expert at the University of Chicago who has studied high-risk pools. Ryan's comments come in the midst of market uncertainty surrounding the Obamacare insurance exchanges. UnitedHealth Group has announced it is leaving most of the exchanges because of its financial losses, the insurance industry is pressing the Obama administration to reform the marketplaces to make them more profitable, and some analysts are predicting double-digit premium increases for 2017. But the Speaker's remarks also highlight the Republicans' political dilemma in trying to devise an alternative way to ensure health coverage for millions of Americans, as they repeatedly promise to repeal the ACA. 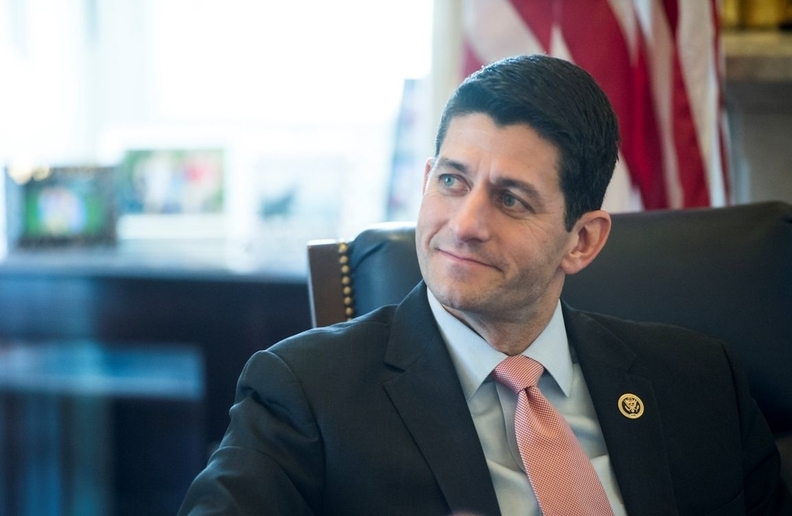 Ryan and some other conservatives believe that taking the sickest people out of the commercial market and putting them into separate, tax-subsidized, high-risk plans would reduce premiums in the commercial market and stabilize it. The individual insurance market is suffering from too high a proportion of sicker to healthier enrollees, said Douglas Holtz-Eakin, a former director of the Congressional Budget Office, who served as chief economic policy adviser to Sen. John McCain's 2008 presidential campaign, and favors high-risk pools. “What you've got now is a bad combination of an individual mandate that can't be enforced, meaning you aren't getting the young invincibles, and the ban on underwriting for pre-existing conditions, meaning you're getting high-cost enrollees,” he said. “It's not working and there's an alternative model." Republican health policy wonks are split, however, on whether high-risk pools are the best way to address the issue. The very conservative Republican Study Committee recently recommended that risk pools be included in the Obamacare replacement plan that Republicans are trying to craft before their presidential convention in July. In contrast, a health reform package offered by Sens. Richard Burr and Orrin Hatch and Rep. Fred Upton proposes barring insurers from denying coverage or charging higher premiums because of pre-existing conditions, as long as enrollees maintained continuous coverage—although consumers would lose that protection if they suffered any break in coverage. Donald Trump, the likely Republican presidential nominee, did not address the pre-existing condition issue either way in the brief seven-point health plan he released last month. High-risk pools “are basically targeted welfare, which is a lot better approach than distorting entire markets with mandates and price controls,” argued Dean Clancy, a policy consultant at Adams Auld, and a former senior health policy advisor to congressional Republicans and the George W. Bush administration. But there are widespread doubts about the viability of high-risk pools. A December 2014 Commonwealth Fund study concluded that the pools are not a workable alternative to the ACA's rules for covering those with pre-existing conditions because they are prohibitively expensive to administer, the coverage is too expensive for consumers, and they offer skimpy benefits. The report predicted that a switch to high-risk pools would result in higher state and federal costs, fewer people with coverage, and plans that don't meet the medical needs of those with chronic conditions. In a 2011 article in the Journal of General Internal Medicine, Pollack estimated that at least 4 million Americans with serious pre-existing conditions—and probably many more—would qualify for high-risk pool coverage, and that the annual public cost would exceed $24 billion. Even in such an expensive program, he added, the pools likely would impose mandatory waiting periods, as state high-risk pools did in the past, to protect against adverse selection and high costs, and that would lead to patient hardships and poor health outcomes. The ACA's own high-risk pool program, designed as a stopgap measure to cover uninsurable people before the exchanges and Medicaid expansion took effect in 2014, also encountered funding and implementation problems. Clancy wants to see the states, not the federal government, fund the high-risk pools. But that could easily lead to a replay of past problems, when many of the 35 state programs, which served just 200,000 people nationally, were severely underfunded. Pollack said he thinks there's no real chance that even a Republican president would roll back the ACA's popular protection against insurance discrimination based on pre-existing conditions. He sees Ryan's comments about high-risk pools as mere political rhetoric to make voters believe the GOP has a viable alternative to Obamacare. And voters, including Republican primary voters, have no desire to see insurers once again be allowed to ask people whether they've seen a medical professional for depression or other conditions so they can screen them out or charge them higher rates, Pollack said.